Is your vehicle's air conditioning or heating system not keeping up with the weather? Don't let the temperature in your vehicle make you miserable. Come visit J & D Diesel in Fort Lauderdale, FL 33315 and we'll get you comfortable again. Even if your heat or A/C is working at reduced efficiency, it's still worth a visit to J & D Diesel. That's because heating and A/C systems may break eventually with usage, and hose pipes may clog and drip if not serviced. Let us examine your vehicle and keep your systems working at top performance. Call us at 954-908-1473 to learn more about how we can get your air conditioning or heating up and running again! Have you been sweltering in your vehicle lately? Perhaps your car's air conditioner isn't functioning properly. At J & D Diesel we have qualified service professionals who can fix your air conditioner. To have an air conditioning system serviced, repaired, or replaced by experts consider visiting J & D Diesel. You can also call us at 954-908-1473 with any questions relating to your vehicle's air conditioner. A fan belt, also known as a drive belt, is a belt connecting your car's engine to the front mounted accessories. The fan belt rotates the water pump and engine fan, which maintains a cool environment for the engine and its components. Sooner or later, your vehicle's fan belts will dry out and crack. When you are ready for a replacement you can count on J & D Diesel for all your vehicle's repair needs. You not only have to get the belts replaced with quality ones but you should have the work done by experts. To have the belts replaced by auto cooling and heating experts - and get your car driving right - visit J & D Diesel today. The mechanics at J & D Diesel will thoroughly inspect your car's belts; replace all worn belts; and adjust the installed belts. A car's air conditioning system contains a coolant which transfers excess heat from one part of the engine and finally loses it through the radiator fins. With time, the a/c coolant becomes old and dirty. The old coolant will negatively impact the system's performance. To make sure the system is working effectively, consider having a regular coolant system flush. A coolant flush is basic maintenance for your car's cooling system. Call 954-908-1473 or visit J & D Diesel in Fort Lauderdale, FL 33315 for all your coolant system flush and fill needs. Ensure maximum performance from your vehicle's heating and cooling systems today. Hoses transfer coolant and antifreeze throughout the engine's cooling system (including the radiator). Sooner or later, your vehicle's hoses will dry out and crack. When you are ready for a replacement you can count on J & D Diesel for all your vehicle's repair needs. You not only have to get the hoses replaced with quality ones but you should have the work done by experts. To have the hoses replaced by auto cooling and heating experts - and get your car driving right - visit J & D Diesel today. The mechanics at J & D Diesel will thoroughly inspect your car's hoses; replace all worn hoses; and adjust the installed hoses. A radiator is the part of your vehicle that keeps the engine cool and protects it from excessive heating. To be cool, the radiator needs to remain clean - always. With time, sludge, rust and other solid deposits build up inside your car's radiator. These make the cooling system become clogged and less effective. This in effect hurts your vehicle's performance. A regular radiator flush is enough to keep the system in shape. For this reason, make radiator flushing a part of your routine car maintenance schedule. For all your radiator flush needs, call 954-908-1473 or visit J & D Diesel today. Radiators are heat exchangers for cooling your car's internal combustion engine. A radiator cools the engine by circulating an engine coolant through the engine block - it then loses the heat to the atmosphere through radiation. A radiator has a set of tubes through which the engine coolant flows. Fins surround these tubes. When the radiator fails, the excess heat produced by the engine could damage the engine components. To prevent this from happening, have your radiator serviced regularly. To have your radiator needs handled by experts, visit J & D Diesel today. Saturday Business Hours Dependent Upon Good Fishing! Best mechanics in town...hands down. Honest and dependable. Guys know they're stuff Keep my truck and boat running good! These guys are excellent.....Trustworthy, fast, and fair...I'll never use another mechanic shop ever....highly recommend!!!! Fast and efficient, more importantly very honest. I just won't take my car anywhere else. Great mechanics, I trust them with my cars and boat! I have been taking all my cars, trucks, and even my prized possession, my boat, to Jeff and Dean at J & D Diesel shop for any problems for more than 20 years... They have all the equipment and know how to get me back on the road or the water without delay. Quite honestly, I don't know any other shop that can be trusted like these guys. 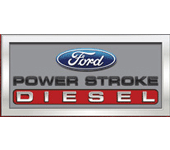 They specialize in big diesel fords, but can handle anything you have for a very fair price too.. Do yourself a favor when you have any mechanical problem.. Take it to the guys at J & D Diesel... They simply are the best shop in Ft. Lauderdale. Customer Service and Honesty are two qualities I look for in any industry and not easily found in the automotive industry. J&D Diesel has ALWAYS provided me with the highest level of customer service and they've been honest with exactly what my car needs when I bring it in for service. I have the utmost respect for the owners (Jeff & Dean) for running a professional shop. I highly recommend J&D Diesel for all your car/truck/marine repairs. Jeff and Dean are both excellent technicians. Their knowledge does not end in diesels only. They work on gasoline engines and they also replace transmissions. Great shop to take your car to. Very honest people, which is hard to find nowadays. Highly recommend them. They are also a Jasper Engines and Transmissions dealer, which is a plus! Excellent customer service and communication. Would recommend J&D with confidence. Jeff Held has worked on my Volvo at his prior location and still does. Jeff's work ethic is unbelievably honest, in my humble opinion. The business model is a rarity in this day and age. Try them. You'll go back, if needed along with being super ready to refer them.